Just over 12 years ago Ayesha Aslam was told that you couldn’t combine faith in the counselling process. Fast forward today and she has been asked to deliver a talk on Islamic Counselling with two of the largest governing bodies in the UK. Join BACP and CPCAB at the ‘Connecting with the lived experience‘ diversity symposium as we explore the way forward in understanding diversity as part of the client experience and as part of your own personal development. To open a dialogue to enhance engagement with the lived experience. · Encourage delegates to look at their our own diversity in order to be fully present and open to the diversity of the other. · Explore what prevents the delegate from fully entering and experiencing the client’s world. · Provide a space to consider what prevents the client from being fully transparent and present when meeting a counsellor outside of their lived experience. · It is hoped the day will open up debate with voices from a diverse range of delegates so that we can honestly and transparently take the next steps forward. These may include developing training materials, video resources, funding future research and/or policy changes and exploring how to support the community to be open to their own blind spots and to fully engage with the other. How will attending benefit me? If you are a Trainer or Tutor: Learn how to better facilitate group process and recognise diversity in training groups. Attendance and participation at the symposium will deepen your professional understanding of diversity, building emotional resilience and provide new insights to translate into your teaching work. 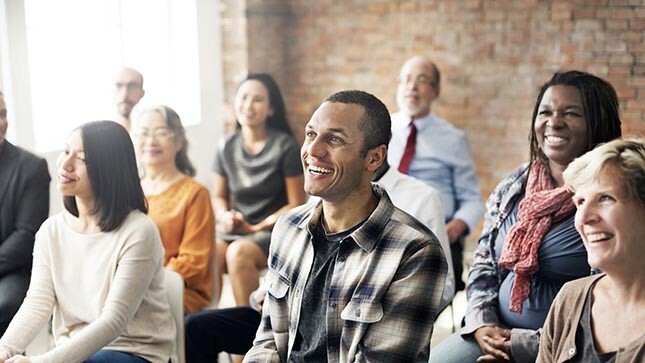 If you are a Counsellor or Trainee: Attendance will support continued professional development and deepening connection in your practice or training. Building upon skills to sensitively provide a safe space for a client to explore deep rooted experiences. Programme The day will commence with a key note address, setting the scene for bridging the gap and connecting with the lived experience of the client and the client meeting the lived experience of the counsellor. The focus groups will provide an opportunity for a more concentrated and detailed discussion.